We are organising regular dance workshops during the school holidays. Ballroom Dancing Workshop will be running during the school holidays. This workshop is open to teenagers, adults and seniors. 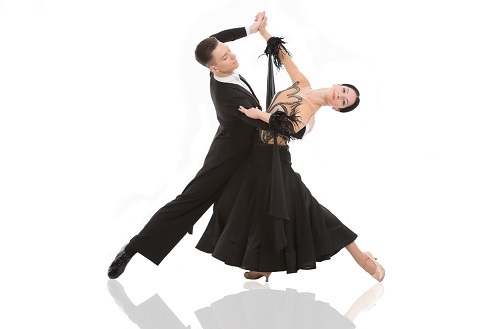 The goal of these workshops is to see you do some basic Modern Waltz, Viennese Waltz and Foxtrot dance routines. These sessions will help you get on the dance floor with more confidence at social nights and different dance events you may attend. The Modern Waltz is a slow and romantic dance chosen to be performed at weddings, corporate functions. The steps of this dance are very flamboyant and smooth. The Viennese Waltz is an elegant and romantic dance chosen to be performed at weddings, corporate functions. It emerged in the 18th century from two dances from Germany and Austria, and it's one of the oldest dances known in Ballroom dancing. The Viennese Waltz is annually danced at the Vienna Opera Ball by 180 debutante couples. The Foxtrot is an elegant and smooth dance that make us think of Fred and Ginger. This Ballroom Dance was developed in the United States in the 1920's, and it is believed to be named after the entertainer Harry Fox. To book, please click the BOOK NOW page.